We are a local family owned North Austin Coffee Drive Thru offering unique beverage and food choices. Unlike our competitors, we make our extra large espresso drinks with 4 shots of espresso! In addition to coffee, we offer homemade chai tea, smoothies, juices (not from concentrate) and Italian sodas (including Sorrento’s own Red Bull Italian sodas) in any flavor, including Austin’s largest selection of sugar free syrups. If you are hungry, stop by for Taco Deli tacos, Kolache Factory kolaches, gluten-free pastries, and more. 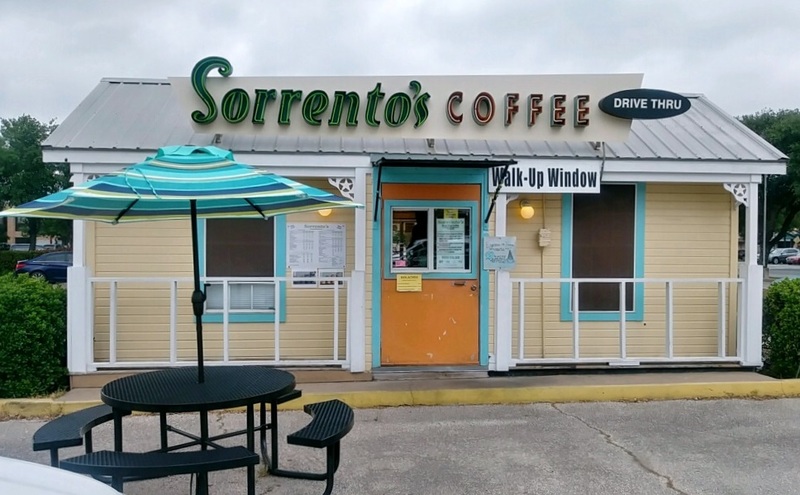 © 2019 Sorrento's Coffee Drive Thru. Website by artsydigitalmarketing.com.